A school in Carlisle, Cumbria, which was severely affected by flooding in 2015, has turned its luck around by winning a national school trip competition run by WST School Travel. The competition ‘Everybody deserves the chance to travel’ attracted more than 4,000 votes and hundreds of entries. 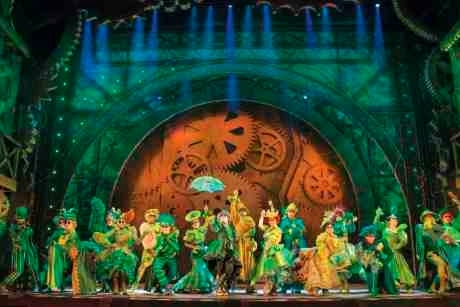 After receiving the most nominations, pupils from Newman Catholic School will enjoy a trip to London to see Wicked in the West End. After the show the children will then be able to enjoy a two course meal. Newman Catholic School, which is based in Cumbria, has had a tough year since the school building was devastated by Storm Desmond back in December 2015. The school has a strong enthusiasm when it comes to performing arts, but for many pupils this will be the first time they actually see London, let alone a West End show. Teachers at the school will now face the difficult decision of picking 40 lucky students to go on the theatre trip, selecting them based on effort, positive behaviour and attendance. The school examination officer, Mary Brookes, who entered the school in the competition, said: “When I saw the competition I had no problem coming up with an idea as to why Newman Catholic School’s students deserved to win. “Our pupils have had to put up with an enormous amount of upheaval and have had to be very resilient. One year after the floods, we still don’t know where or when our new school will be built. I think our pupils deserve this trip, for all that they’ve had to put up with.”Sian Belfield, customer relations director at WST School Travel said: “We would like to thank everybody who entered our competition. We had the pleasure of reading some fantastic and heart-warming stories of the great work pupils are doing in schools in terms of studying, fundraising, development, inclusion and positive behaviour. WST School Travel is a Blackpool-based school tour operator, which was named UK’s Best School Tour Operator at last year’s School Travel Awards. For more information on WST School Travel, visit www.wsttravel.com.